Jack and Jill are childhood friends who started their schooling together, then the college and the business too. Jack picked the garment business while Jill showed an interest in the shoe business. Due to hard work and dedication slowly the businesses of both friends flourished until the Internet came to the activity. Jill was smart enough to adapt to the change and he continued to flourish while Jack’sbusiness started showing a loss. Jack was not happy with the losses and for a solution, he contacted Jill who asked him to set up an online store. Perplexed, Jack queried for the reason to which Jill mentioned: “Customer preferences have changed Jack, now they want an easier way to shop and an online store gives them ease”. Jack understood the same and started an online store and he saw profits gradually. Just like Jack, there had been businesses in the changing times which failed because they did not adapt to the change. 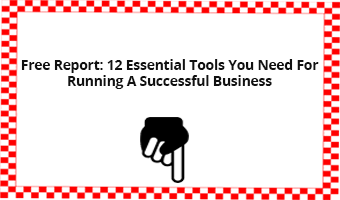 If you too have not been wise to adopt online business then you need to make the move now as today is the time. If you have been feeling that change is sudden then you need to know that the shift towards online shopping had started soon after the internet was made public in the year 1991. Amazon was the first company which started with the online selling activity. It did this soon after the launch of the internet in the year 1991. From 1991 until today the field of ecommerce has undergone loads of changes and it is believed that this change will continue in the future as well. Not only this business statistics even indicate that there is a continuous increase in the online purchases and this trend is likely to continue over the years as well. It is the phenomenal shift in demand because of which the small businesses should turn to ecommerce solutions. Other reasons for the shift could be improved selling activity, lower operating costs, wider customer reach and much more. Thanks to the changed customer preference. 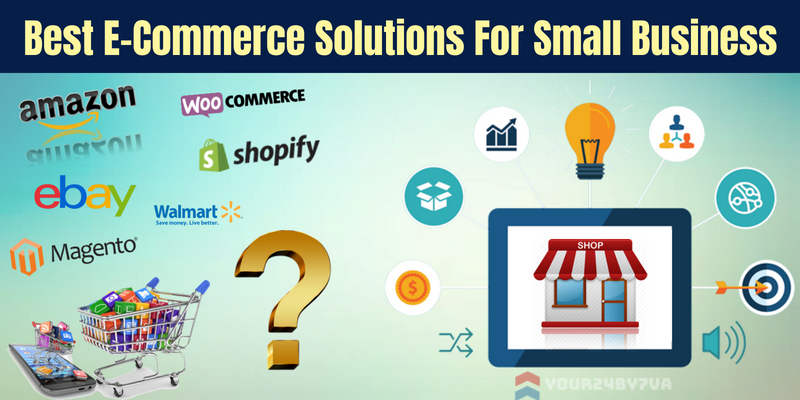 It is certainly not wrong to say that Ecommerce solutions for small business are no more an option but a necessity because consumers of the current time investigate, select and purchase products and they will certainly not leave a channel that offers them better product and price option and that is easy to approach and employ. So, you must be wondering what are the best ecommerce platforms for a small business that can employ to set up their store? 1. Shopify- Shopify is the perfect software as it is easy to use and comes decked with features. Some of the features of the platform are a ‘live ‘storefront, web hosting, CRM, website builder and much more. Using these features, with this platform the store set up and launch is quick and efficient. 2. Magento- One of the reasons why you should choose Magento is because it is customizable and can suit changing business requirement quick easily. You can make a choice of this platform if your focus is to choose amongst best ecommerce platform. An open source tool, Magento has within it everything that an organization requires to launch and operate an ecommerce store. 3. Woocommerce- Woocommerce is a plugin which is easy to install and employ and is regarded as one of the best ecommerce tools for a small business owner. Available as a plugin, Woocommerce provides innumerable themes, extensions and plugin options to users. 4. Wix- Wix is an affordable ecommerce builder software. One can use it on their own for creating an ecommerce store or they can also engage Wix’s AI program to perform the task. It is a small business ecommerce solution and can be the choice of not so tech-savvy small business owners. 5. Squarespace- Apart from the above-listed eCommerce Solutions For Small Business, there can also be mentioned Squarespace which is also a popular website builder platform. As you make a choice of the small business ecommerce solution consider the factors of ease, affordability, security, customizability, and others. After all the choice of the right platform only will lead to the proper development of a store that will then affect online sales. So, make the wiser choice!